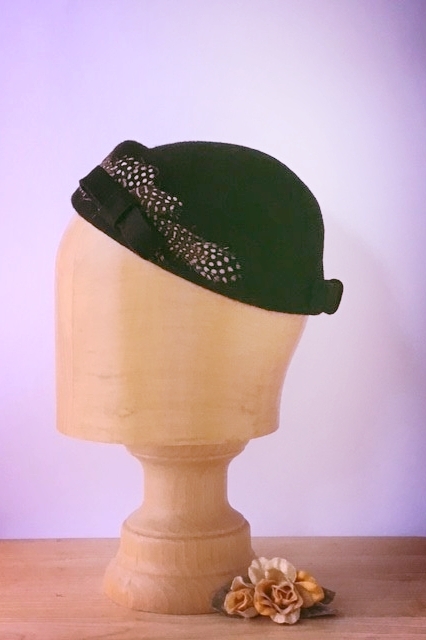 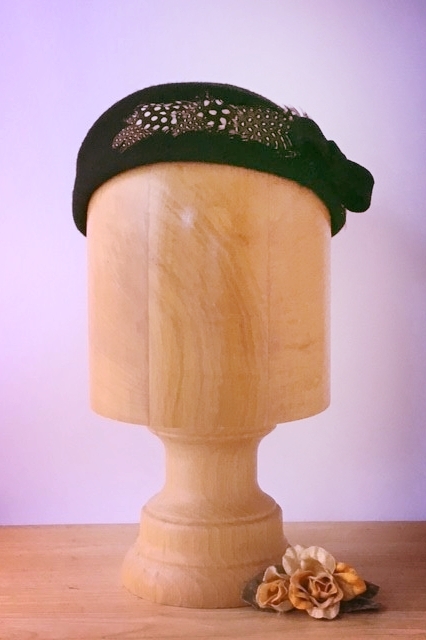 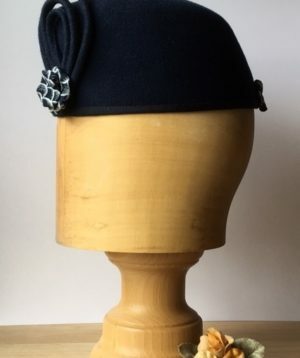 A lovely little black felt hat with an asymmetrical appearance to the front encompassing a slightly raised brim to the right side tapering down slightly to a bow and feathers in the opposite. 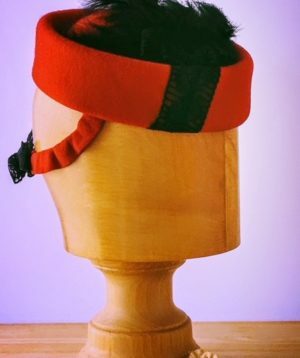 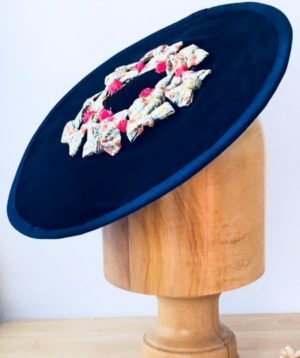 The back of the hat is finished with a felt bow and the crown is lined with a plain black lining. 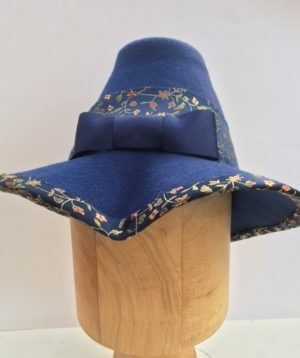 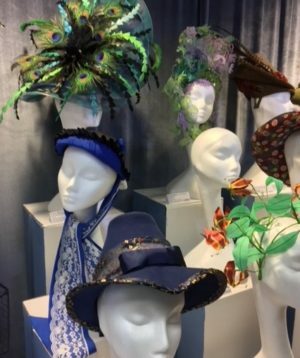 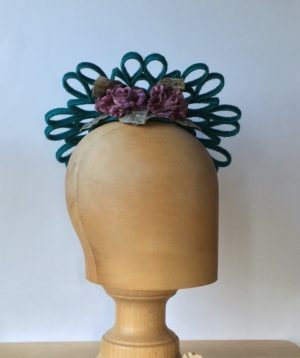 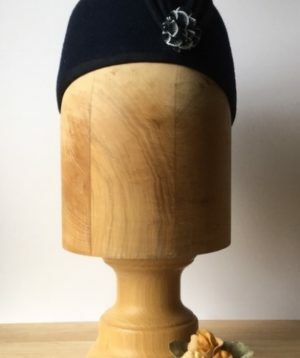 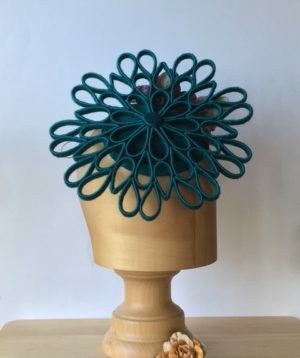 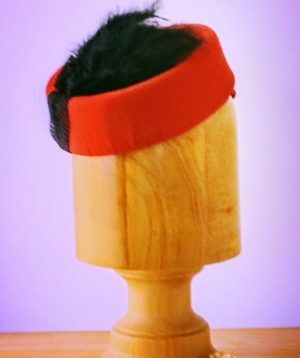 This hat can be worn on the back of the head, further forward or tilted. 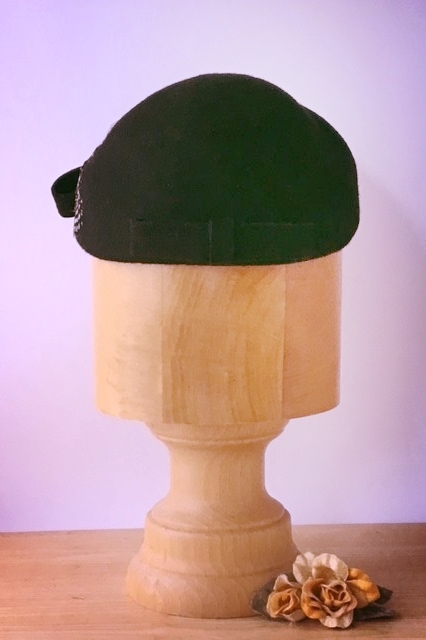 It is secured with a black hat elastic.